GroVia recently had a Kickstarter campaign for their new product, GroVia O.N.E. 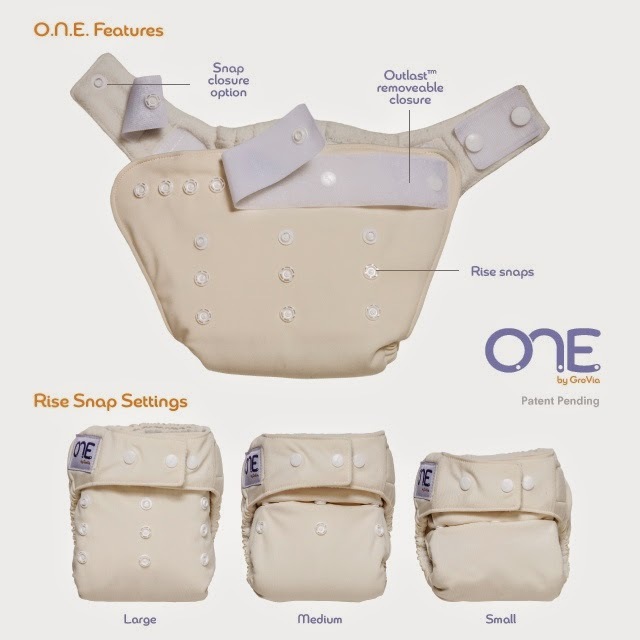 a new all in one type cloth diaper on the market. There are so many pros to this diaper, that the cons are very very minimal. I historically am not a fan of all in ones. We have a few that we can use during the day for my 14 month old, but in general, we stick to the GroVia all in twos with him. My daughter has better luck with pockets, so she stays in those. 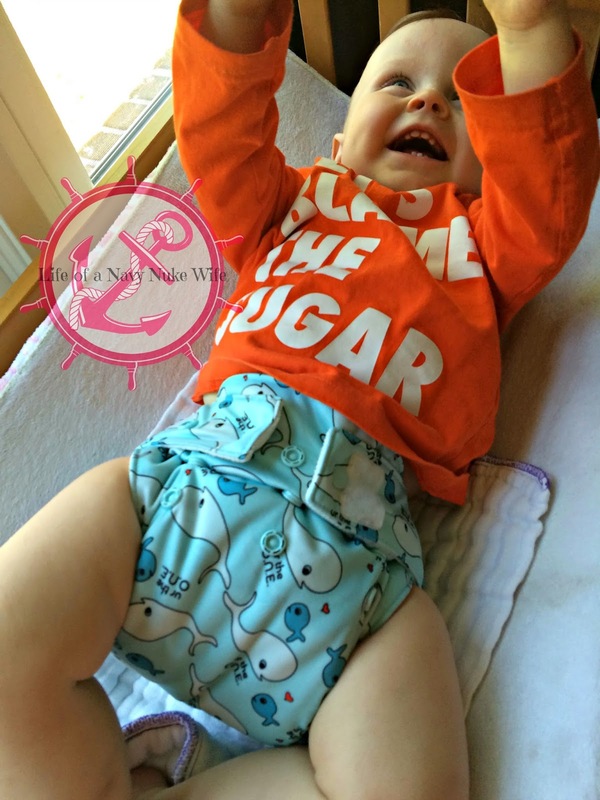 I believe that every baby is different, and different diapers work better with different babies. We are not brand loyal when it comes to diapers, we have just about everything out there: prefolds, covers, all in twos, hybrid fitteds, fitteds, pockets, all in ones . . . we try a lot of different things here. Since this picture was taken (days after my son was born) we have acquired about five zillion more GroVia inserts, because those were what worked best for my son. 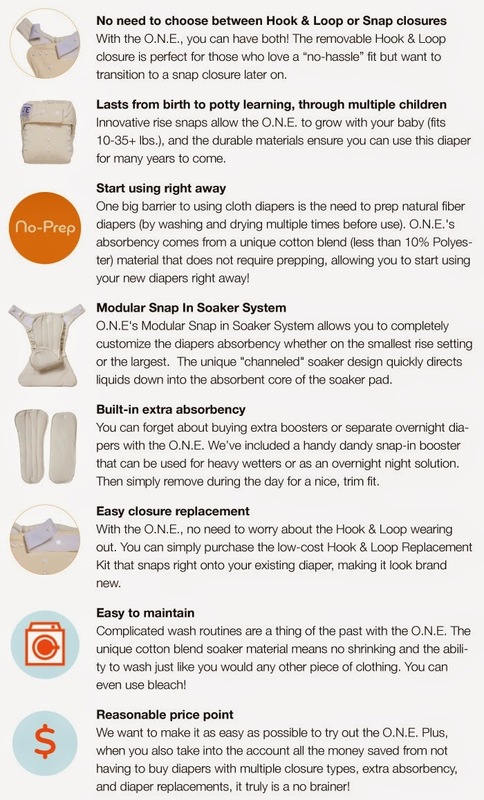 A few things I find important with diapers is the quality. 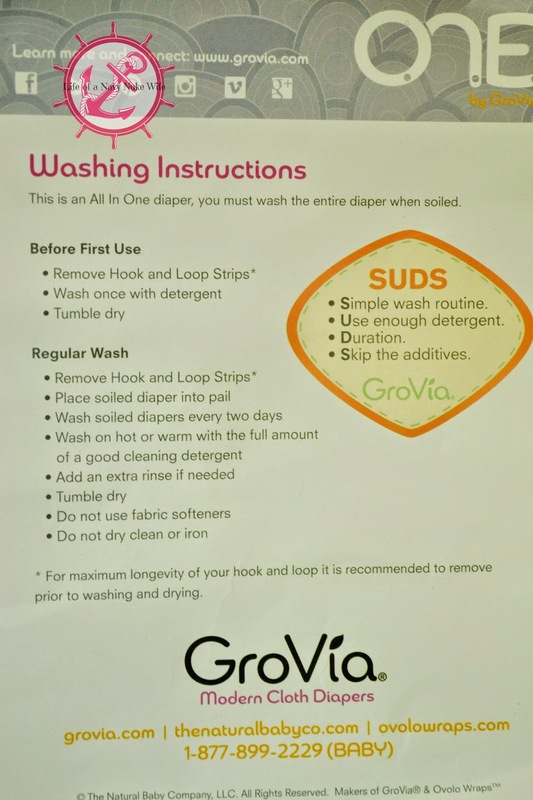 I have been very impressed with GroVia for the entirety of my cloth diapering career. I was very pleased with this product when I received it. It came in an adorable little bag with very precise instructions for usage and washing instructions. I think that this diaper would be a fantastic first diaper for someone trying out cloth. It has step by step instructions for before your first use, and regular wash. It even has a very handy acronym for remembering how to wash.
Like most parents of diapered children, I have been struggling with finding a reasonable nighttime solution for my child. 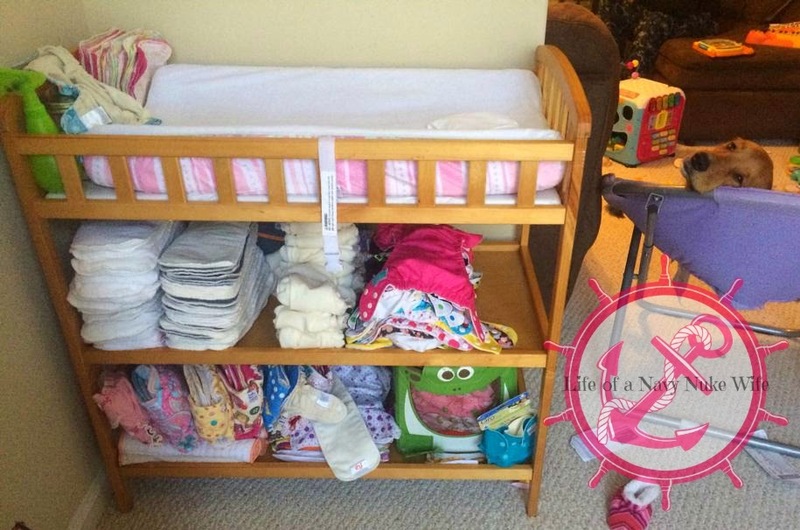 I remember when my daughter was a newborn, I thought I had nighttime diapering totally under control. She slept about two hours, and I would just change her and not understand why people had such issue with nighttime solutions. Then she started sleeping more, and growing and peeing more . . . and well if you're reading this you get it. Every solution I have had has been temporary. I went through the same thing with each child. First I could just put them in pockets, then pockets with an extra insert. Then I tried out hybrid fitteds with wool covers, which works fantastically. All of these solutions work, but they don't work great. Pockets leak around the legs when there has been too much pee, and they usually can't comfortably be stuffed enough to hold all the pee. My son often leaks out the front rise snap of pockets when he wears them overnight. As for hybrid fitteds, they are soaked in the morning, so when I take off his wool cover (which is also usually wet) I have to touch nasty toddler pee to get the snaps undone and it's very messy. They are also not stay dry, so my son wakes up from the moisture on his body, and sleeps less throughout the night. But I do want to point out that I love my hybrid fitteds, and we have used them until they're pretty much fallen apart. Look at this bad boy. It's made it through two children! I'm ready for something new. I was very excited to try out this new GroVia. I was worried however, that it wouldn't be as earth shattering-ly fantastic as it's claimed to be. 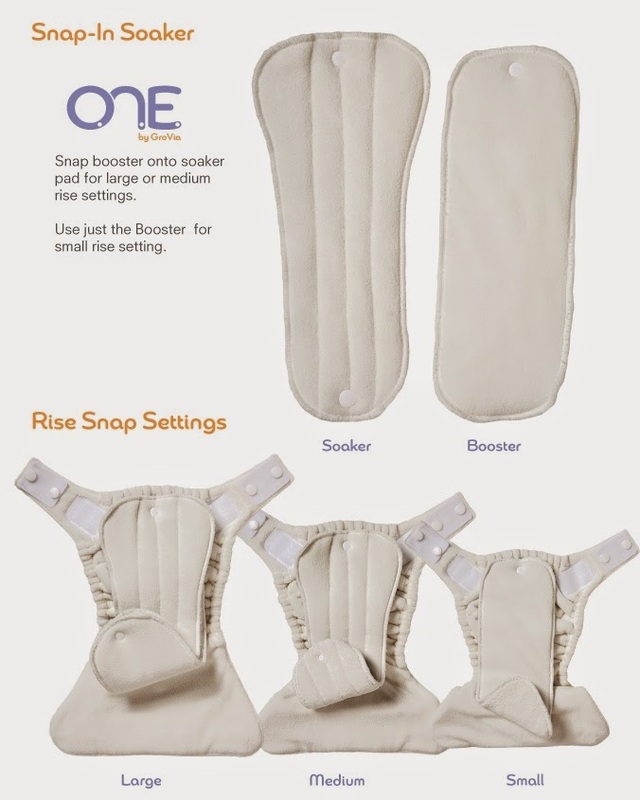 I first used it as a nap time diaper on my son, to which it successfully worked. I then used it on my daughter during the day, and it worked great. Then I finally took the dive and put it on my son for an entire night. I was terrified. I put an extra layer of waterproof bedding down underneath him and put a wool cover on him, just in case the diaper didn't hold up. The night passed and my son did not wake up early. When morning came, I wondered if perhaps he had decided that today was the day he would potty train, and wake up completely dry? Oh what a glorious day! Of course not. I went into his room and he had slipped off his wool cover and I was very scared to pick him up, in fear of a pee-splosion around his entire bottom half. I picked him up and was delighted! The outside of his diaper was completely dry. This is level of mastery I didn't know existed. That sealed the deal in my head that he totally potty trained himself, and was probably just holding a super pee in. 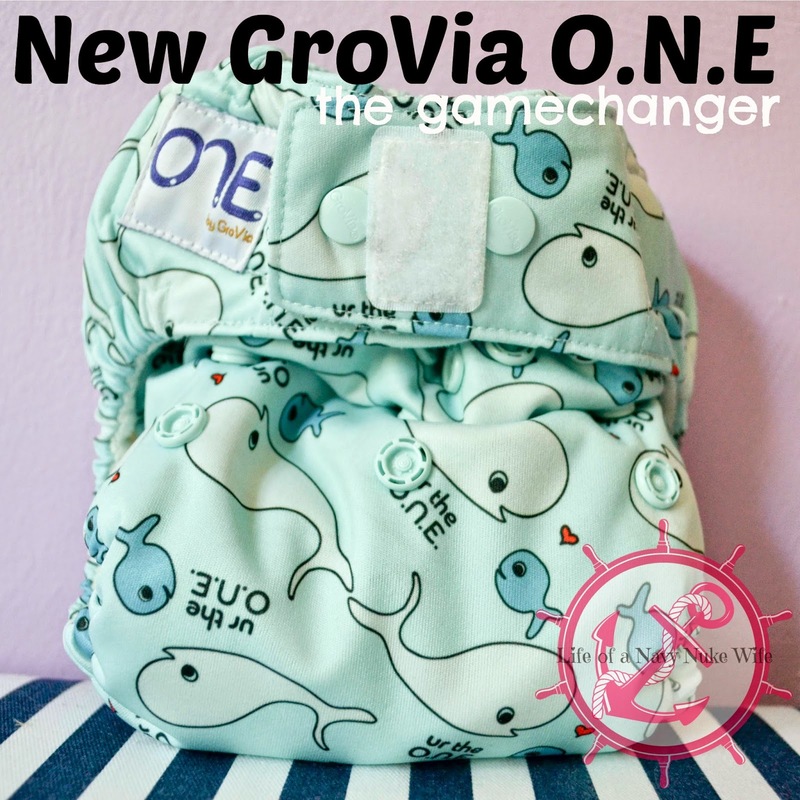 Did you try out the new Gro-via O.N.E.? What do you think? Interesting review. I don't have kids, so I know next to nothing about diapers. I am glad you like this brand and type. 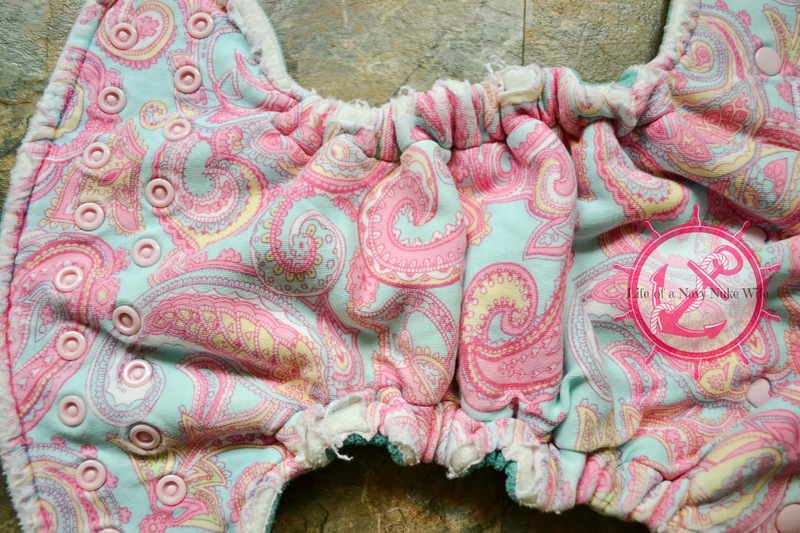 i always wanted to try cloth diapers but never did. sadly, pampers were my best friend!